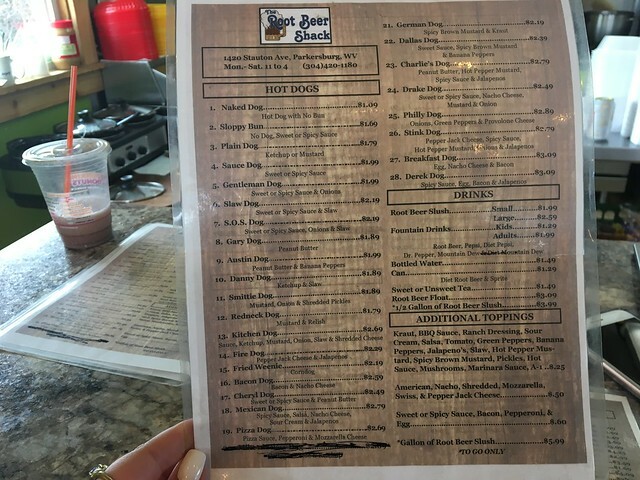 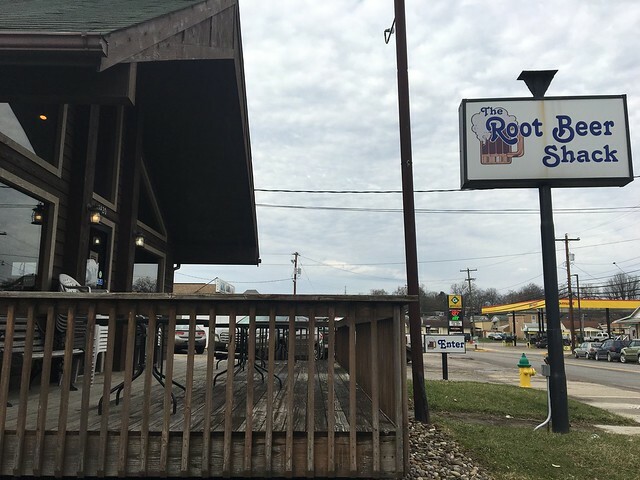 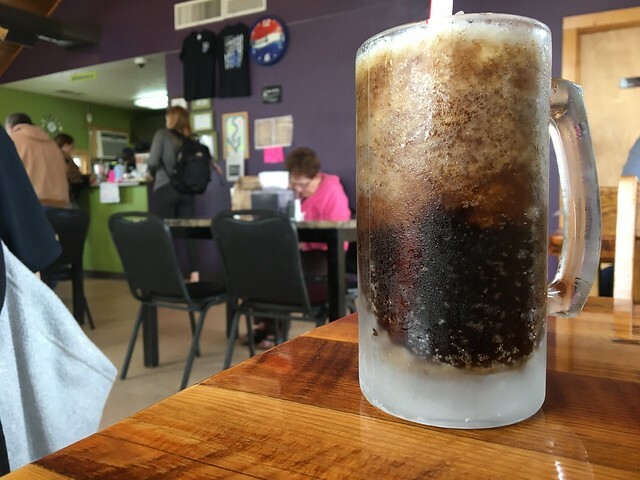 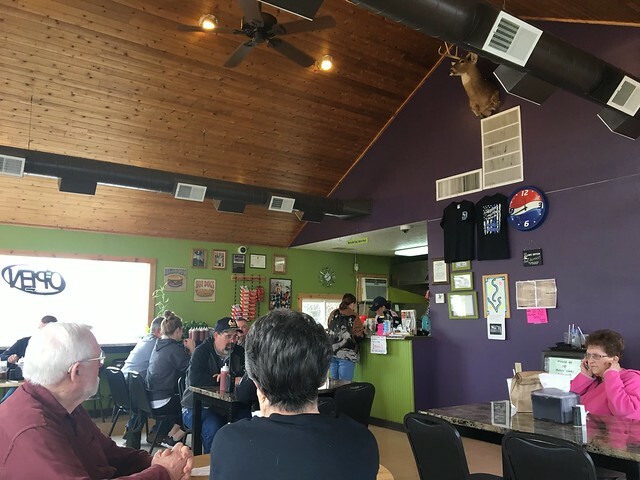 The Root Beer Shack is a Parkersburg restaurant that serves up frosty root beers and a ton of different hot dogs. 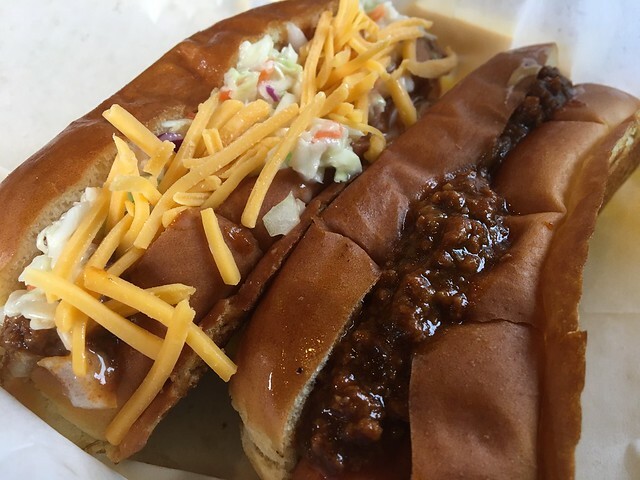 Kitchen dog with ketchup, mustard, sauce, slaw, cheese and onions. 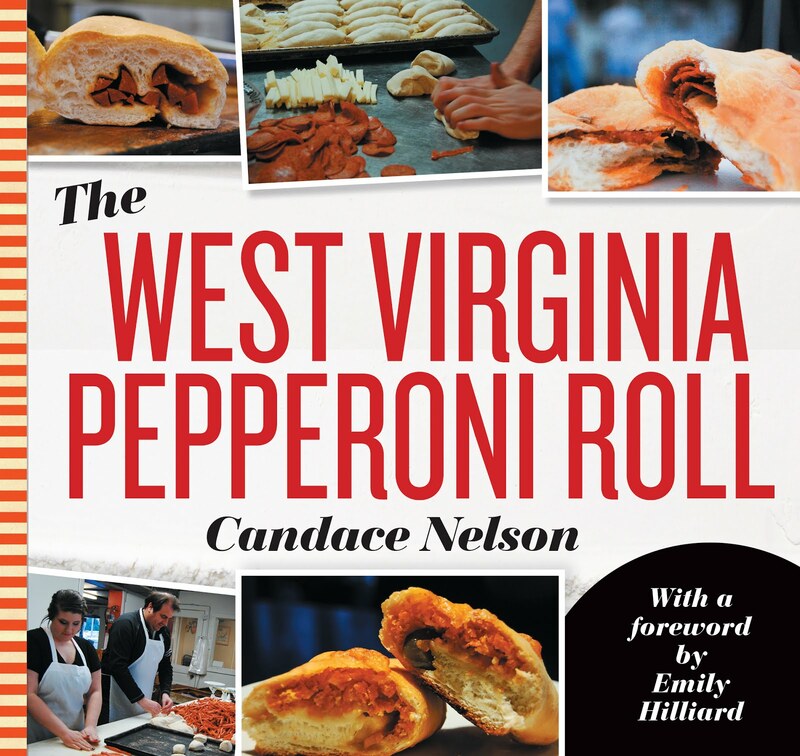 Cheryl dog with peanut butter and sweet chili!